SUPPLY PROBLEM? NO, IT’S INEFFECTIVE DEMAND! There’s nothing wrong with it – except for what it portrays. It depicts Australia’s descent into an economic depression because a badly-designed tax system has virtually choked off effective demand. The unique chart disaggregates incomes within our GDP, and possibly approximates the picture within other economies. Why ‘unique’? Because it assesses once and for all the extent of land rent within the economy, both that which has been privatised and that which has been captured for the running of government. In economic terms, rent is the annual value of a nation’s land. It’s literally the natural source for revenue, because no individuals have created it. It’s the value that the public and community infrastructure give to land as we work away at our jobs each year. Although it is a surplus value – because it’s community-generated, not a production cost – in Australia we capture only 12% of it to the public purse (less than $40 billion of $325 billion). The graph shows that rent is sufficient to replace taxation at all levels of government. i.e. If we were to collect it all, there would be no need to tax (or fine) labour and capital for working. And this would obviously act to regenerate employment. We currently allow owners, speculators and monopolists to retain 88% of our land rent even though they’ve done nothing to earn it. And, of course, those who get the greater part of it are those who own not only the most land, but also the most valuable land. People who rent their homes receive no rent from society at all, even though their presence as a group did assist to create it. So, it is unfair in the extreme that rent, being generated by the community as a whole, is collected largely by wealthier segments of society. Therefore, as Australia allowed its public rent to become privatised, it has become necessary to tax labour and capital more heavily for working, in order to make up the increasing amounts necessary to finance government. As can be seen, the effect has been to reduce the returns of Australian labour and capital severely. Were we to capture more of our land rent, wages and capital would obviously retain a greater share of their earnings – nearer to the full $675 billion to which in 2007 they were entitled. 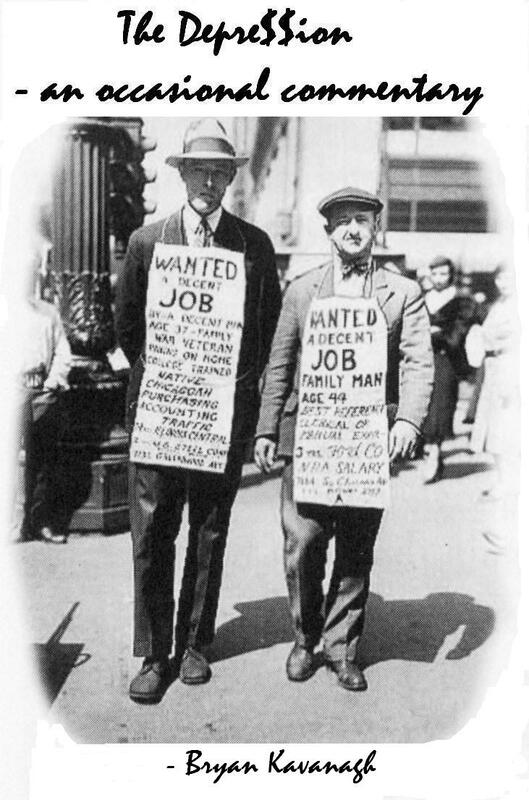 Net wages and interest have grown only 677 times since 1911 as their proportion of GDP declined from 85% of GDP to 39%. Taxation meanwhile grew by a factor of 7000. Herein lies another hidden economic truth: every part of the increase in taxation was added into the costs of Australian producers. There is one thing on which economists do agree – that, unlike taxes, rents cannot be passed on in prices in a competitive economy. Therefore, to claim that Australia can’t compete with China, or other ‘low wage’ countries, is nonsense. We could become cost competitive overnight simply by cutting counter-productive taxation and increasing land-based revenue. Unlike labour and capital’s share of GDP, Australia’s land rent grew by a factor of 5400 between 1911 and 2007, from $60 million to $325 billion; because most of this was privatised, we get an insight into the process that enriches the wealthy at the expense of the Australian community as a whole. They leech parasitically off its rent. That’s not the entire story from our chart. While rent has always grown strongly with the community and its infrastructure, it climbed particularly rapidly since 1980, during the period of so-called ‘economic rationalism’, as it became popular to ‘pooh pooh’ community values and to sell off public assets to rent-seeking companies. Rent represents community, insofar as it is generated by the existence of the community, but we permitted the greater part of the increases in land rent to flow into a few private pockets, including those of major companies who have majored in the art of claiming the community’s rent to themselves. In the process, massive increases in rent were capitalised into sharply escalating land prices, bigger mortgages, and impossible levels of household debt. It consequently became necessary for many Australians to replace purchasing power lost with greater debt, merely to exist. Whereas Charles Dickens’ character, Wilkins Micawber, came to learn that this was an unsustainable position, the point seems to remain lost upon the framers of taxation policy. 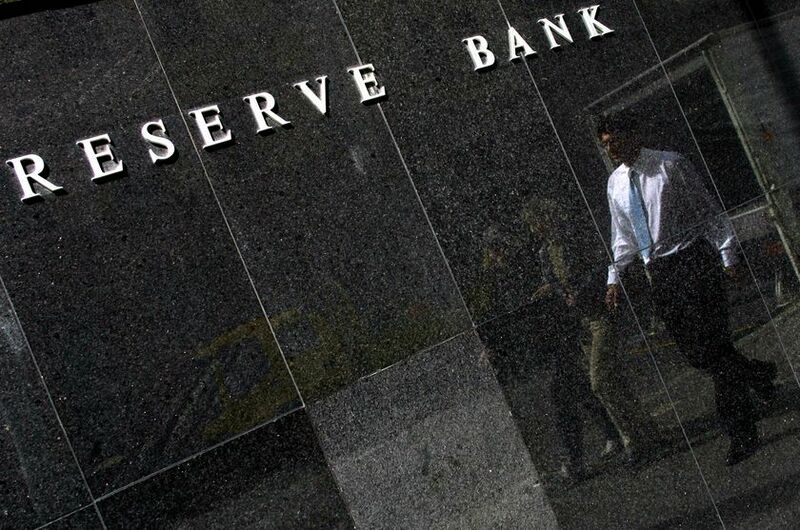 Caught in the jaws of the rent-seekers’ vice, that is, between a declining share of GDP and higher and higher taxes and land prices, Australia will now grind to a halt as labour and capital are denied effective demand. 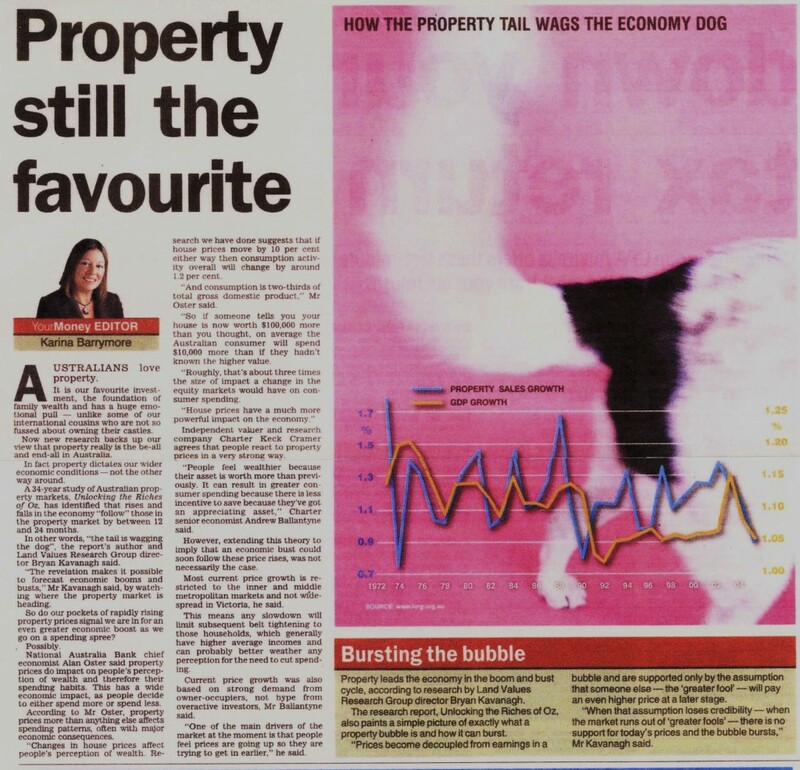 Since the beginning of the 1980s, the Australian taxation system has emitted a glowing green signal to property monopoly and speculation and a red light to labour and capital. The current depression therefore becomes an entirely logical outcome of a pathological revenue system, and the economy has finally succumbed. It is said that we live in ‘the computer age’ and ‘land doesn’t matter anymore’, but this ignores that every product emanates from land, even the computer chip. It’s pretty basic stuff, but if we want to re-establish cheaper access to land, so that labour may more readily combine with land to generate capital and wealth again, we need to capture a far greater proportion of rent for public revenue. 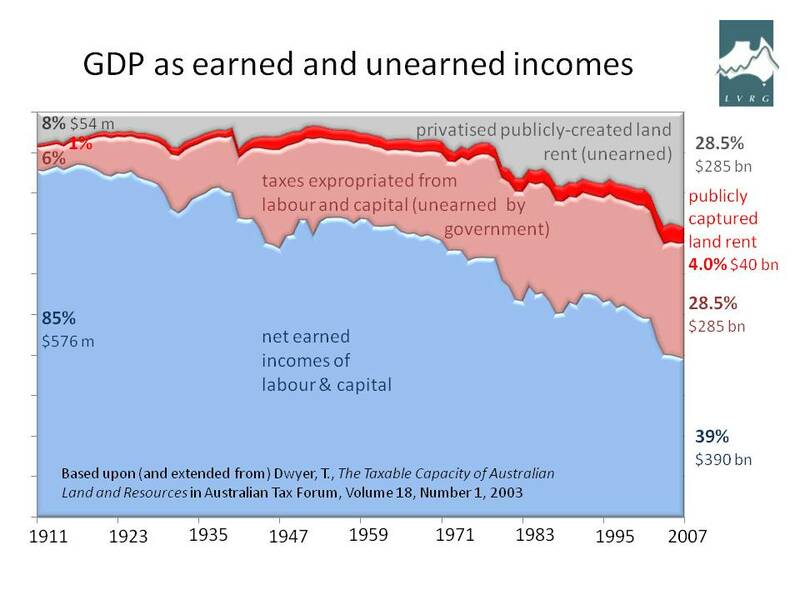 Despite the graph’s portrayal of an inverse relationship between the private capture of rent and the returns to labour and capital, there has been no analytical recognition that the greater part of our deepening economic woe flows from the excessive privatisation of Australia’s land rent. Consideration of Ricardo’s Law (‘location, location, location’) is dismissed as taxes penalise regional and rural areas on an equal basis with our capital cities. Instead of the government sacrificing huge sums of money into a deflationary vortex in the forlorn hope of resuscitating the economy, Ken Henry’s review of Australia’s Future Tax System needs to provide leadership by suggesting the slashing of taxes on labour and capturing a greater share of our land rent for revenue. Real estate speculation and monopoly can no longer be permitted to remain the sacred cow. Coupled with taxation, these are responsible for the system grinding to a halt, for excessive debt and ineffective demand. When you’ve seen this socio-economic collapse coming from a long way off, you need to get the absolute frustration with public policy out of your system – especially as it relates to the damaging effects of taxation! Each of my ‘commentaries’ up to and including May 2009 was e-mailed to all Australian federal politicians – until I saw the pointlessness of that! So, this commentary will be my catharsis. If others are interested, that’s great! There’s been a hiatus since May, but as of 26 August 2009 The Depression is up and running!